Bi-Wiring with standard banana plug inputs. 1 pair of 3K Array for Klimax 350A. as usual if don't know what this is and how to use it don't but it. Speakers are in great condition,audioquest speakers wires are included and are 7 foot long. speakers stand will be sold separate. 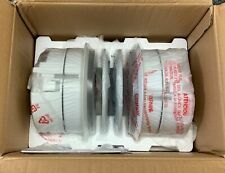 New, never used pair of in-ceiling speakers from Linn. For sale is a nice pair of Linn Keosa Floorstanding Speakers Black Pair. Minor scratches here and there. They have a thin speaker screen which I didn't remove to take pictures, not sure if the screen is original or just adapted by previous owner. These Tukans are pretty fun to listen. For your consideration a used Maple Linn Trikan MPL Center Speaker. Has been tested and sounds great. There are scratches and a nick on the speaker. The AV5120 is a "multi-purpose" speaker that can be used as a center channel speaker or a stereo pair when two speakers are being used. This was previously used in an all Linn AV speaker system where it was performing its duty as a center channel speaker. Linn speakers espek floor standing great condition!! Great condition Linn Espek floor standing speakers. Two in original boxes. Crystal clear and clean and crisp sound. Will arrange free LA area pickup. Input impedance passive: 8 ohms. Input impedance active: 6 Ohms treble, 8 Ohms bass. No scratches or dents on the wood surface or woofers. Frequency response passive: 75Hz-20KHz /-3dB. Drive units: 19 mm treble, neodymium magnet, fully screened, 1 x 125mm bass/mid, cast chassis, full screened. Linn Floor Standing Espek Speakers in Great Condition!! Great condition linn floor standing espek speakers. LA area pick-up is free. Im in la the week of march 18 to arrange pickup. Original boxes! Also have a pretek and powertek and classik stereo and dvd all in one system. Moreover, this Linn speaker with 90 dB sensitivity produces a louder and clear sound. LINN - AV5120 / Cherry Center speaker. The price now reflects the speaker and a pair of Aktiv cards. Center Speaker. Amazing condition pair of Linn speakers. Perfect sounding beautiful condition (see photos) you will love them. Smoke free house and I do not have the spikes for the base. Currently I am using a Linn turntable and Bryston amp for source reference and they are breathtaking detailed, clarity, very revealing and accurate. Vintage 1993 Linn Tukan 2-Way Bass-Reflex Loudspeaker. Condition is Used. Shipped with USPS Priority Mail. What can I say about this amazing pair of speakers?. Bass, mid-range and tweeters have their own set of cables, which makes for the music to flow seamlessly. All drivers are in top shape condition. No cracks or anything. Quite frankly – It’s the best bass you’ll ever hear ! However upgrading the Kef B139 isobarically loaded drive units yields even better results. 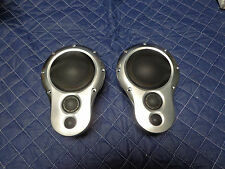 We favour the Elac unit used in the past by IMF/TDL, but as I say, these are difficult to obtain second hand. Linn Akurate 212 speakers in black (passive). Linaeum LFX Corian Stereo Speakers. Taking a digital signal as their input, the Klimax 350 ensures zero transmission loss from the source. Then Katalyst DAC Architecture retrieves the maximum amount of musical information from this digital signal. This tune box is for Linn Keltik Speakers ONLY. It alowes to use any amplifiers to run Linn Keltik speakers. 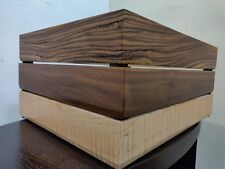 Aktiv Crossover Tune Box with Cards. The tune box is in excellent working order. (LINN ISOBARIK. Unless you can afford a New Naim 362 that is ! With it's associated supere cap of course :-) - Use a Hicap if you like. LINN AKTIVE ACTIVE CROSS OVER. Which is the best active cross over for Isobariks Linn or Naim ?. LINN ISOBARIK - UPGRADED. Linn Isobarik speakers. NAIM AMPLIFICATION SUPPLIED. Crazy Looking Linn Speakers ?. The speaker model has its own wikipedia page. They may have a point. I thought that they sounded really good. Congress with 25 foot speaker wire for each! Good condition Linn Ninka speakers in black finish. The Ninka are a two-way, infinite baffle design. Drive units 19mm treble with neodymium magnet, fully screened, 2 x 160mm bass/mid, cast chassis, fully screened. LINN 350A FLOOR SPEAKERS SET . Up for sale LINN 350A FLOOR SPEAKERS SET. LINN KATAN speaker system. The Speakers have Stretch and Swell Marks around Top, bottom and the edge of each Speakers. The all was tested and sounds fantastic. Whether you enjoy listening to music for several hours per day or you want to set up a home theater experience that will rival what the big screens have to offer, you need the right speakers and subwoofers to deliver the sound. Linn home speakers and subwoofers are available in a variety of types, sound qualities, and configurations. On eBay, you can choose from new and used Linn speakers and subwoofers for the home. What are the available types of Linn speakers on eBay? Bookshelf: These speakers are enclosed in a box and have a flat bottom that allows them to sit on a shelf. Center channel: This style is a multi-purpose speaker that is spread out in a horizontal orientation. Floor-standing tower: These tall units stand up on the floor. In-ceiling: They mount into or on the ceiling. Subwoofer: This projects the volume of low frequencies. What are the available configurations and designs of Linn speakers? There are two-way and three-way designs for Linn speakers. The two-way design features a low-range speaker and a high-range speaker. The three-way design separates the audio into low, mid, and high-range sounds. The available configurations for the Linn speakers include single speakers, subwoofers, and systems. The systems combine a subwoofer and one or two speakers into a single frame or box. What are the sound quality options for the Linn speakers? Hi-Fi: This sound quality encompasses all of the notes from the highest to the lowest ends of the audible spectrum. High definition: Dialogue is mixed to the center, and some low and high notes may be filtered out. Home theater: This delivers a surround-sound experience with left, right, and center speakers and includes the subwoofer's output. How do you choose Linn home speakers and subwoofers? Color: Choose from black, brown, gray, silver, and white. Frequency response: The range is 50 to 75Hz at the low to 15KHz to 20KHz at the high end. Impedance: This ranges from 4 to 6 ohms. RMS power: This ranges from 250 to 500 standard and up to 1,000 peak. Condition: There are new, used, and manufacturer's refurbished units available. Content provided for informational purposes only. eBay is not affiliated with or endorsed by Linn.